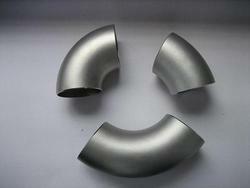 We are the leading stockist and suppliers of stainless steel elbow. Owing to the vast industry experience and in-depth knowledge of this domain, we are offering a huge collection of high-quality Tube Fitting Elbow to our valued clients. We are an importer of SS Pipe Elbowof types 900 Elbows, 900 Elbow, 450 Elbows, 1800 Elbow of socket weld, threaded type to ANSI B 16.5 from classes 2000 to 9000 and Schedules from 10 to 160. We are dealing with the elbow (pipe fitting) accordance with BS standard from classes 2000 to 9000 lbs, Schedule 10 to 160. Riding on unfathomable volumes of industrial expertise, we are offering an excellent range of Elbow 45 Degree. 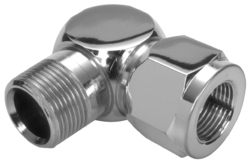 Being a quality-oriented organization, we assure our clients that these fittings are the best in quality. Our vendors' skilled professionals only utilize fine quality raw material, while manufacturing the entire range. Shah Engg. & Machinery Co.